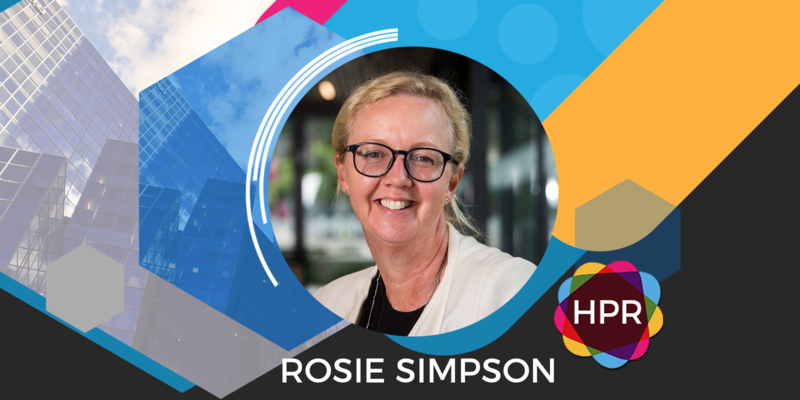 Guest Bio: Rosie Simpson joined the Children’s Hospital Foundation as CEO in July 2017, bringing a strong strategic and commercial background to the organisation as it looks to build on its strong growth, funding for world class research and supporting innovation in the delivery of children’s health outcomes. Rosie brings close to a decade of experience in the NFP sector with The Smith Family where she was responsible for both significant organisational strategic shifts and double-digit income growth in roles as Head of Strategy and Fundraising. Previously Rosie was an Executive Director of Marketing at Telstra with a focus on 3 million rural and regional customers. She holds a Masters in Economic Development and a degree in Economics with experience as an economist with the International Wool Secretariat in London, a lobbyist in Canberra and has led a number of entrepreneurial projects to drive online services for rural and regional Australia. Segment Overview: In today’s interview, Rosie Simpson joins the program to talk about the establishment of a new $5 million research center aimed at better understanding key issues in childhood nutrition and how to tackle them. She also shares about her passion for working with children. Tabetha Moreto: Hello everyone. Welcome to Health Professional Radio. I’m your host for the day, Tabetha Moreto. Our guest today is Rosie Simpson, CEO of the Children’s Hospital Foundation. Today we are going to talk about the establishment of a new five million dollar Research Centre aim at better understanding, key issues in childhood nutrition and how to tackle them. Without further ado, welcome to the show Rosie. It’s very nice to have you here. Rosie Simpson: Thank You Tabetha, lovely to be with you. T: Yes my pleasure. Rosie please tell the audience more about yourself and the nature of your work. R: Thank You Tabetha. I’m CEO of the Children’s Hospital Foundation here in Queensland, I’m very humbled to be in charge of a small group of people that essentially raised over 20 million dollars a year to fund into supporting sick kids and their families here in Queensland. We’re delighted that this week on Wednesday, we officially launched the Woolworths Centre for Childhood Nutrition Research in partnership with Woolworths. We’ve had a very long partnership with Woolworths and their customers who are over the last 31 years have helped raise more than 51 million dollars to help support sick kids across Queensland and New South Wales. We’re now in the next phase of that partnership with Woolworths because this generosity has allowed us to fund groundbreaking medical research, life-saving medical equipment as well as a range of services to support kids and their families in hospital. I would say Tabetha that the Children’s Hospital Foundation, we’re committed to funding research that’s needed to find faster diagnosis, better treatments and ultimately cures for some of the most devastating childhood illnesses. The Woolworth Center for Childhood Nutrition Research is part of this ongoing commitment to improving the outcomes of sick Queensland children through world-class medical research. T: That sounds excellent. Congratulations on this new Centre. I’m sure that this Centre will help a lot of children in Australia. R: Absolutely and over the next five years under this new centre in its early stages will award a range of program grants exploring themes around preventing and managing food allergies for instance in children, the dietary requirements that maximize health outcomes for children at certain ages. We’re also going to look at the role of diet on gut health and the microbiome and the impact of that diet on brain development and mental health. A couple of the other areas we’re looking at is childhood eating behaviors and habits, so fussy eaters and how we help to inform the knowledge base around improving the nutrition for those fussy eaters. We’re looking at increasing how we increase fruit and vegetable consumption amongst children and right back to infant feeding and the importance of research in terms of adding to that body of knowledge around the importance of nutrition and infant feeding. T: I agree with you, children are very picky eaters nowadays. I’m a mother myself so I know my daughter is very picky. There are times where I prepare dinner for her and she doesn’t want to eat it. Rosie, if you don’t mind I have a question for you. As a mother myself, what advice can you give me and other mothers out there how can we get our children to eat healthy food? R: I’d love to be able to give you direct advice about that. I mean what the new centre, Woolworths Centre for Childhood Nutrition Research is designed to do is really do some groundbreaking research that will help exactly the sorts of messaging that both Woolworths and more publicly researchers can make about how to improve nutrition for fussy eaters, how to really look into food allergies. We’re doing one of the very first pieces of research that we announced also on Wednesday is some work that Dr. Severine Navarro’s kicked off with us that really looks at hookworms for instance and the impact that hookworm proteins having on people that are celiac. It also has some implications for children that have a range of allergies as well. Her research is proving quite interesting for the impact of hookworm proteins on on food allergies. That work is in its infant stages but is already showing some very positive signs and that will enable celiac and obviously celiac is very hard to diagnose particularly in children. But over time we hope that that will inform those diagnosis for children. T: Very interesting. Yes, I hope so because this Centre is going to help lots of children especially when it comes to fussy eaters or children who have allergies. T: Speaking of allergies. I want to ask you what is the state of childhood nutrition now in Australia? Because I’ve heard many reports that a lot of Australian children nowadays are obese. What can you say about this? R: I think Australia is definitely following the global trend in Western countries for obesity. I’m pleased to say that Queensland is already leading the way in pioneering groundbreaking research in childhood nutrition and dietetics. Through this Centre, we’re hoping to build on that existing knowledge really to accelerate progress in childhood nutrition research because we really as you’ve identified, what we’re seeing is we really need to address the health crisis that is around childhood nutrition and obesity. We really want to improve the health of all kids now and into the future. It’s critical and you’ll see in relation to Lady Cilento Children’s Hospital for instance. They’ve got a range of resources available on their website that’s really designed to make very practical recommendations to families and their children around better nutrition and keeping our weight down basically as Australians and particularly as for children. T: Absolutely that’s true. It’s better to tackle these issues when they are children because as they get older, it’s going to be more difficult for them to handle it. R: That’s right. Establishing those healthy eating habits early on but also being aware that sometimes these issues come about because of gut health problems or food allergies or as we say poor eating habits established early in life. T: Yes, I agree with you. Rosie if you don’t mind I’d like to ask you a personal question. T: Why are you so passionate about your work? Why do you like working with children? R: Thank you. I have been working with not-for-profits and related to supporting children for over 10 years now. The most obvious answer to that question is because children are the key to future generations of Australians. They’re often the key to social change and are also a wonderful group of people to actually deal with on a daily basis. I have a wonderful opportunity every day to walk through our Hospital and interact with the patients and families that come into the hospital. I guess personally I get enormous joy seeing the reaction that the family have to the high-quality care that the Lady Cilento Children’s Hospital and all our children’s health services in Queensland offer. But on top of that, we make their journey easier through the foundation, we provide volunteers from the moment they arrive in the hospital that’s scary, ‘Where do I go and who do I see and what is it that I need to get together in terms of my paperwork?’ We have volunteers that help direct those early stage inquiries and stay with the families as they progress through the hospital and make sure that they know exactly where they need to be and what they need to have ready right through to volunteers that have to do couple caring in the hospital. That is an availability of volunteers, so mum and dad who are dealing with very sick, very small baby can get some time to actually go and have a coffee and have some ‘me time’ and organize the rest of their life while they’re very busy. Obviously focusing on improving or getting their very sick child well again. And we run a TV service called JUS TV in the hospital at the foundation which distract kids. It’s when you’re in a hospital, it’s a scary environment sometimes for kids so the ability for them to be able to watch a really funny TV show but also they’re actually become the compares and they do the interviewing on the show. It’s a TV program that’s run by kids, for kids in the hospital and that’s quite innovative and new in Australia and groundbreaking from our point of view here in Queensland on a national level. We’re very proud of the work we do and personally to be able to drive improvements in that support that we offer the hospital and to find cures for some of the most devastating illnesses is an incredible mission I think personally for me to humbly be involved with with the Children’s Hospital Foundation. T: Very nice, thank you so much for sharing your story. Yes, I agree with you that children are fascinating to work with. Like I mentioned earlier since I’m a mother, being around children brings such joy to people. T: Rosie I’m sorry but we’re almost out of time but before we go, what is your main takeaway message to all of our listeners out there? What would you like to tell them? R: I would like to say that supporting childhood nutrition is key. We’re obviously very grateful for the support that Woolworths have provided but we’re always very keen to work more closely with people that are interested in whether it’s donating their time, whether it’s collaborating on research or it’s providing much-needed funds to support what we do at the Foundation in supporting the very sickest of kids in Queensland and over New South Wales. We’re very keen to work with a range of people in whatever capacity they can. T: Excellent, thank you so much. For those who want to contact the Children’s Hospital Foundation, how can they do that? T: Yes, thank you so much Rosie for coming on the show. I really appreciate it. R: Thank you Tabetha. Lovely to talk to you, I appreciate it. T: Yes and congratulations again on this new research center. R: Thank you, we’re very excited. T: That was Dr. Rosie Simpson, CEO of the Children’s Hospital Foundation. We just have been talking about the establishment of a new five million dollar research centre, aimed at better understanding key issues in childhood nutrition and how to tackle them. If you liked this interview, transcripts and archives are available at www.hpr.fm. We’re on all social media platforms, so don’t forget to follow like and subscribe. We’re also available for download on SoundCloud and iTunes. I’m Tabetha Moreto and you’re listening to Health Professional Radio.